The serval has very long legs relative to body size allowing to reach speeds up to 50 MPH. They are considered the most successful of all hunters in the animal kingdom, making a kill more than 50% of all attempts. 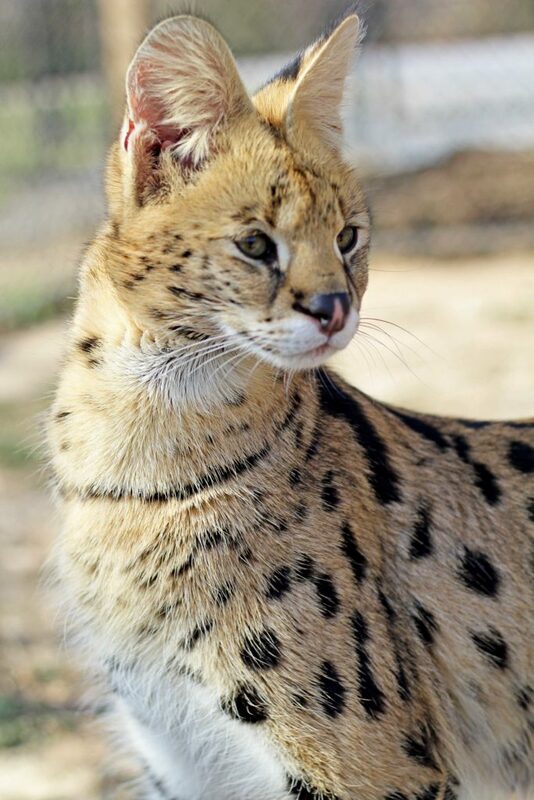 Female servals average 25 pounds and males up to 35 pounds.The serval can purr like a domestic cat. Servals are extremely intelligent and display problem solving ability when hunting. Human encroachment and hunting has reduced its numbers.